Introducing children to nutritiously balanced foods at snack and mealtimes throughout their early years provides them with a critical foundation of knowledge and understanding that can help influence their decisions as they become more independent. Helping them to learn about ‘real’ food is imperative at assisting them to establish long-term balanced eating habits. Achieving such balance is affected by many factors including children’s diverse backgrounds, willingness to try new foods and parental influences. The modern family typically deals with the pressures and balance of modern living and parenting. Challenging feeding behaviour in children tends to be common today with many being labeled as ‘fussy’ from a very young age. Interestingly, refusing new foods at specific stages of development are completely natural human instincts and linked to an innate survival instinct from hunter-gatherer times. This would have protected very young children from eating the ‘wrong’ foods that could be harmful. 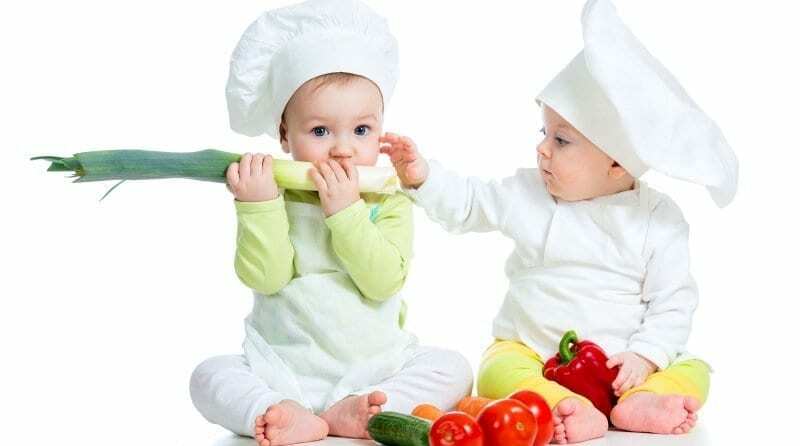 Use of language: Use child-friendly language about food. Avoid labelling food ‘good’ or ‘bad’, but instead refer to it as ‘high energy’, ‘high in brain fats’, ‘high bone food’ … terms which help children to begin to understand the role different foods play and they can also start to understand there are food choices that will be hugely beneficial for their bodies. Role-play/Modelling: Providing opportunities for children to be exposed to different foods can easily be incorporated into role-play. A café, restaurant or farmers market set up using real food can give children the chance to prepare, cut and taste food. Modelling behaviour can be planned by perhaps setting up a food show with food demonstrations to the children, hands-on opportunities and tastings. Preparing food: During mealtimes and snacks, children should be encouraged to take an active part in the preparation of the table including the crockery, cups and cutlery and, wherever possible, adults should eat with the children to provide an opportunity to talk about food and model ‘high energy’ food choices. Presentation: How food is presented to children can be key when encouraging them to become more diverse eaters. Bringing food to life can make a huge difference to young eaters. Using items such as toothpicks to create a boat’s mast and sails, shaping food into animals, and presenting food as faces all make foods more interesting to children, and can encourage them to engage. Get out and about: Planning trips to local supermarkets, food halls, fishmongers and green grocers can further develop children’s interest in real food. If such opportunities are planned, children’s exposure and understanding about real food will develop from a young age. The influence this may play in developing balance in their dietary decisions can be significant as they get older.